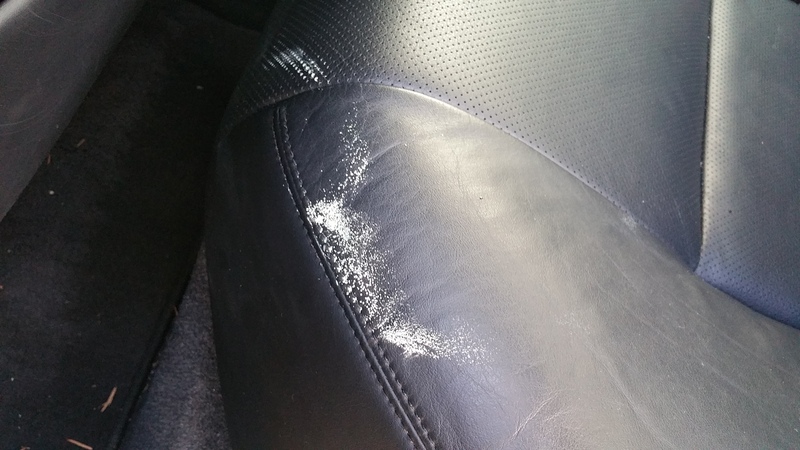 Strange gunk/residue appearing on back seat. 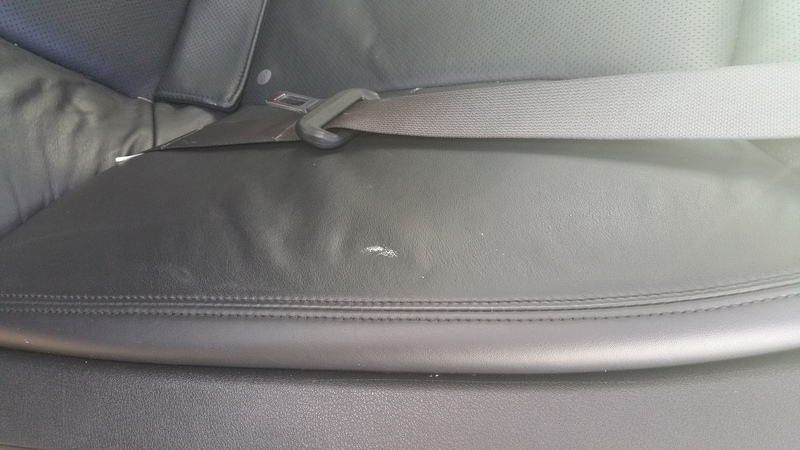 Recently in my 2006 IS-250 I noticed that the back seat on the driver's side has started to form some strange gunk (see attached images). The gunk has a sort of tacky texture and appears to be seeping directly out of the leather rather than coming from one of the seams. When I first noticed it I cleaned it up with some Meguire's leather cleaner and it came off pretty easily but started to show up again within a day or so. I'm fairly confident the problem is coming from me always driving around with my window slightly cracked (even when it is raining outside) and since noticing the gunk I've been keeping my windows up but the stuff just keeps coming back. Has anybody else experienced this before? Any ideas or tips for how to permanently get rid of it?? Mold may be a good guess. But it would be just that, a guess. I like this answer, it definitely seems to be mold if it's coming back especially with the pattern it's formed in. Has anyone ever spilled anything in the back seat? Has a window ever been left open? You can always contact someone in your area that deals with mold and ask them to check if it's for sure mold, they can identify the type as well. If it is, it needs to be dealt with ASAP. Quick Reply: Strange gunk/residue appearing on back seat.